What is New at Les 2 Alpes this season. What is New at Les 2 Alpes this season – Les 2 Alpes season is well underway and the resort will be opened until 27th April 2019. This young, dynamic and international resort has guaranteed snow with ski-in/ski-out accommodation. Located at 1650 m with slopes from 1300 m to 3600, it offers a great vertical drop of 3000 m. Les Deux Alpes is home to 2,100 inhabitants, 3,000 seasonal workers and 29,265 tourist beds. The French make more than half its clientele, with 55.9% total visits while Britain is the leading non-French source of guests with 18.8% visits. This is followed up by Belgium, Netherlands, Italy, Germany, Denmark, Spain, Sweden, Norway, Poland, Switzerland, Russia, Czech Republic and Canada. These tourist beds include 29 hotels, with two 4-star, eight 3-star, eight 2-star hotels amongst others. Winter in Les 2 Alpes. Photo b Yoann Peisin. Les 2 Alpes. What is New at Les 2 Alpes this season. To get to Les 2 Alpes you can go by plane to Grenoble Alpes Isère airport (1h30m away), Lyon Saint Exupėry (2 hours) or Geneva airport (2h30m away). If you come by train, from Grenoble train station, it is one hour by car or 1h30 m by bus. A number of these long-term development projects have started in May 2018. Les 2 Alpes is positioning as benchmark and market leader amongst French ski resorts. Over the next five years, Les 2 Alpes’ large-scale projects represent an investment of almost 500 million Euros (ski lifts, ski run equipment, expanding the artificial snow cover, leisure properties and public infrastructure). It started in 2018 with the installation of a new 8-seater detachable chairlift on La Toura sector (2,600 m) to replace the 2 Toura and Lac Noir chair lifts. Between 2019 and 2021, it is projected that the resort will increase the artificial snow network. As the most precious resource at Les 2 Alpes is snow, the Deux Alpes Loisirs, the company that operates the ski rea, will, between 2019 and 2021, continue to preserve the snow mantle with the construction of La Mura reservoir and associated pumping premises, as well as expanding the network between Les Crêtes (2,100 metres) and Le Grand Nord (2,600 metres). The goal is to eventually guarantee a minimum 30% coverage of the ski area surface in artificial snow. A snowmobile in Les 2 Alpes. Photo by B. Longo. Les 2 Alpes. What is New at Les 2 Alpes this season. Between 2020 and 2023, Les 2 Alpes will change its look for the long-term. There will be a construction of a new 3S gondola lift to replace the Jandri Express – this is considered the “Rolls Royce” of large-capacity ski lifts! It will transport 3 times the people than the Jandri Express does now (4,000 people/hour instead of 1,200 people/hour). A new link is planned between The Alpe d’Huez and Les 2 Alps for 2022. The construction of the future cable link between Alpe d’Huez and Les 2 Alpes will take place between the villages of Auris and Mons de Lans; so the plan is for the Force 2-seater Mont de Lans chairlift to be replaced by a gondola lift to Village 1800 and Les Crêtes (2,100 metres). Multiple Property Developments between now and 2020. A major property development scheme (new builds and renovation programmes for leisure properties), governmental support, and higher quality rental accommodation….it all adds up to 3,500 additional beds for Les 2 Alpes within the next 3 years, an increase in professionally marketed beds and almost 33,000 tourist beds! A covered magic carpet or tapis roulant. Photo: Yoann Peisin. Les Deux Alpes. What is New at Les 2 Alpes this season. -On the 15th December 2018, an ultra-modern hostel with 364 beds opened in Les 2 Alpes: The People Hostel. A brand belonging to the France Hostels group, which operates its first establishment in Lille, “The People Hostel- Les 2 Alpes” will offer 45 private bedrooms as well as 41 shared rooms for 4, 6 or 8 people. -The ATOUT France French Institute of Tourism – entity tasked with promoting France in other countries, was entrusted by the French government with the France Tourism Engineering plan, which will eventually lead to 100 million tourists visiting France. 13 French tourist resorts (in the mountains and on the coast), including Les 2 Alpes, will be supported by ATOUT FRANCE and will be able to take advantage of their expertise free of charge, from 2018 over the course of 18 months, to help with matters such as renovating accommodation, switching over resort energy, and putting together investment projects. -This winter, Clubs Du Soleil Villages will be opening at the Village 1800 level (around 260 rooms). A night snow trail- Photo by Monica Dalmasso. Les 2 Alpes. What is New at Les 2 Alpes this season. -A new look for La Résidence building (Croix des Limites), as well as the addition of a chalet (multiple apartments). -The former Les Alpinistes hotel is becoming a new ODALYS residence (apartments/500 beds and shops). -Terres de Venosc housing estate situated between La Place de la Croix des Limites and Le Diamant building on the Vallée Blanche side. Offering 30 luxury chalets (700 beds). -SAFILAF Némêa Tourist Residence, between Les Marmottes residence and the Vallée Blanche chairlift (931 beds/104 4-star apartments and 81 4-star Premium apartments). Beautiful Les 2 Alpes. Photo by Monica Dalmasso. Les 2 Alpes. What is New at Les 2 Alpes this season. -Les Glaciers residence (at the resort entrance), one of the Les 2 Alpes; first buildings is going to become a multi-residence (SEMCODA) with a hotel (50 bedrooms), a tourist residence with 32 apartments, a residence for senior citizens with 50 apartments, and another building with 44 apartments totalling an additional 618 beds. -Les Clarines residence (MMV) on the Super Venosc sector (160 apartments/800 beds). -Les 2 Alpes is welcoming a 2nd Le Belambra establishment in Le Village 1800. 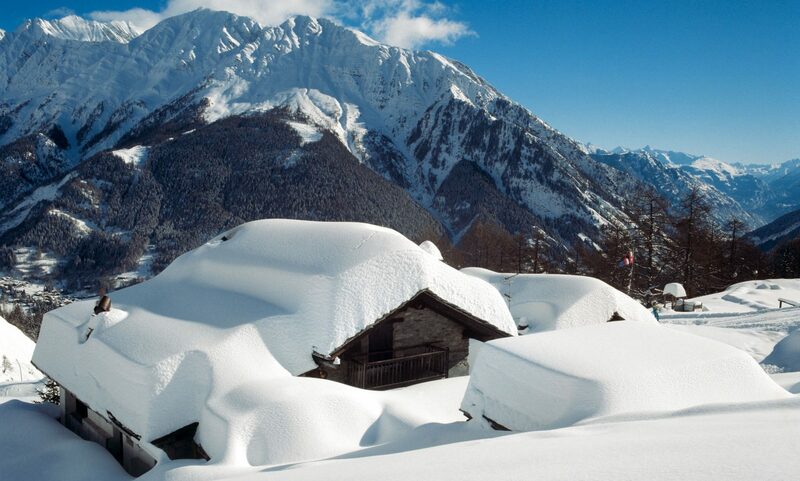 Winter in Les 2 Alpes – Photo by B. Longo. Les 2 Alpes. What is New at Les 2 Alpes this season. Les 2 Alpes is a Family Plus resort. Photo: Bruno Longo. Les 2 Alpes. What is New at Les 2 Alpes this season. Winter in Les 2 Alpes. Photo: Bruno Longo. Les 2 Alpes. What is New at Les 2 Alpes this season. The ski resort by night – Les 2 Alpes. Photo by B.Longo. Les 2 Alpes. What is New at Les 2 Alpes this season. Freestyle skiers climbing up the mountain. Photo b Nils Louna. Les 2 Alpes. What is New at Les 2 Alpes this season. Fat tire bikes in the snow. Photo b Nils Louna. Les 2 Alpes. What is New at Les 2 Alpes this season. Also, Rob Katz and his wife Elana Amsterdam donated 2 million USD in grants to support mental and behavioural health programs in ski towns of North America. And see how Aspen Skiing Company released its sustainability report 2018. And also check Aspen’s Give a Flakecampaign. The Audi Power of Four Mountaineering Race is coming back to Aspen. Featured Image: Winter at Les 2 Alpes. Photo Nils Louna – Les 2 Alpes. Skiing amongst friends. What is New at Les 2 Alpes this season. Next PostNext First National Learn to Ski and Snowboard Day in the US.